Jung Chang’s book „Wild Swans – Three Daughters of China” has been translated into 30 languages and has sold over 9 million copies world-wide, reaching no. 1 in over a dozen countries, including Japan, Britain, Australia, Brazil, Germany, Holland and Scandinavia. „Wild Swans” has won many awards, including the NCR Book Award UK (1992), UK Writers’ Guild Best Non-Fiction (1992) and Book of the Year UK (1993). It is probably the most widely read book about China this century. 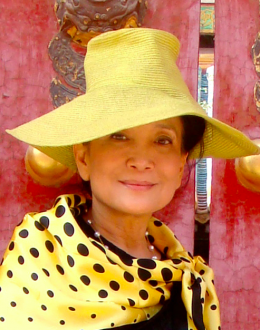 Born in Yibin, Sichuan Province, China in 1952, Jung Chang was a Red Guard briefly at the age of fourteen and then worked as a peasant, a ‚barefoot’ doctor, a steelworker and an electrician before becoming an English Language student and, later, an assistant lecturer at Sichuan University. She left China for Britain in 1978 and was subsequently awarded a scholarship by York University, where she obtained a PhD in Linguistics in 1982 – the first person from the People’s Republic of China to receive a doctorate from a British University. She has since also been awarded honorary doctorates from universities of Buckingham, York and Warwick and the Open University. Her spellbinding lectures charting the dramatic developments in 20th century China, provide a truly unique, inspiring and uplifting experience and help to understand the challenge of 21st Century globalisation. In 2003, Jung Chang wrote a new foreword to Wild Swans, describing her early life in Britain and explaining why she wrote the book. Having lived in China during the 1960s and 1970s, she found Britain exciting. After the initial culture-shock, she soon grew to love the country, especially its diverse range of culture, literature and arts. She found even colourful window-boxes worth writing home about – Hyde Park and the Kew Gardens were inspiring. She took every opportunity to watch Shakespeare’s plays in both London and York. However she still has a special place for China in her heart, saying in an interview with HarperCollins, „I feel perhaps my heart is still in China”. Dr. Chang published a biography of Mao Zedong in 2005. Her latest book „Empress Dowager Cixi: The Concubine Who Launched Modern China”, was published in 2013 and was a New York Times notable book. It won the 2014 Chinese American Librarians Association Best Book Award (non-fiction). Chang lives in west London with her husband, the Irish historian Jon Halliday, who specialises in Soviet history. She regularly visits mainland China to see her family and friends there.